Jerry Webster passed away with his wife, son, brother, and sister-in-law at his side, in his home on Friday, December 1, 2017 in Byhalia, MS at the age of 66. Jerry is survived by his wife of 26 years, Sue Webster; by his son Chris Webster (Michelle) of Memphis, TN; his two daughters Jennifer Lee (Craig) of Pearl River, LA; and Cheryl Bullock (Jason) of Franklin, TN. He is preceded in death by his mother and father, Mary and James Webster. He is survived by his two brothers, Larry “Buddy” Webster (Joan), Rogerdale Webster, and his two sisters, Linda Knight and Sharon Hance (Wayne). He was a Pepaw of five granddaughters and six grandsons: Autumn, Justin, Anthony, Ryan, Noah, Jeremy, Ashley, Emily, James, Hailey, Madelyn, and a great granddaughter, Melody. Jerry was born on October 18, 1951 in Decatur, Illinois to Mary and James. He served in the United States Marine Corps, and he had a great love for his country and law enforcement. Jerry married Sue, the love of his life, December 7, 1990. 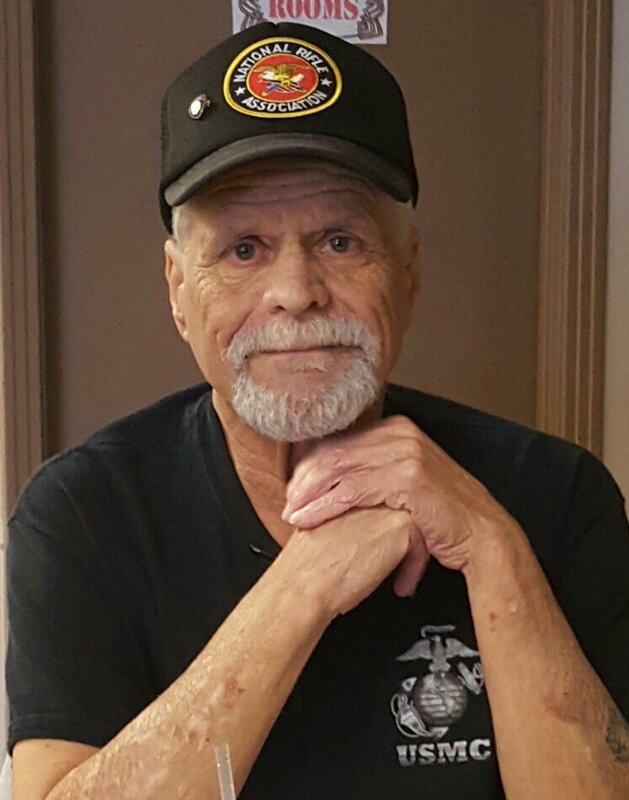 He served the Mid-South as a security specialist and business owner for over 30 years. Jerry retired in 2000. Jerry loved his family more than anyone could imagine, and he was so proud of all of their accomplishments. He had a great personality that made people gravitate towards him. Jerry was an excellent storyteller and loved to tell his tales while sipping coffee at the Whistle Stop Café in Byhalia with his brother, Buddy. He also had a kind heart when it came to animals, especially his cats. A memorial service for Jerry Webster will be held Saturday, December 9th at 2:00 pm at New Beginnings Baptist Church, 6125 Pleasant Hill Rd, Olive Branch, MS 38654. Memorials can be made to the American Heart Association or the American Cancer Association. We will miss you and you know you are loved Now you are in the hands of our Lord Jesus Christ. So enjoy the paradise.